As well as manufacturing mezzanine floors Meza9 also supply the stairways, which can be a feature or are just used for access/back of house. Our design and build service includes the handrails, and balustrades that go with them. These are necessary accessories for any mezzanine floor but the same care and attention needs to be paid to these areas during design, specification, build and installation. Often they tend to be the feature items of a mezzanine development, particularly in retail and office situations. Stairs, handrails and balustrades are an integral part of your mezzanine floor. Whether it’s for public or staff use, or both, they need to look part of your overall scheme and at the same time work safely and effectively. We supply designs for these accessories as part of our total mezzanine package. 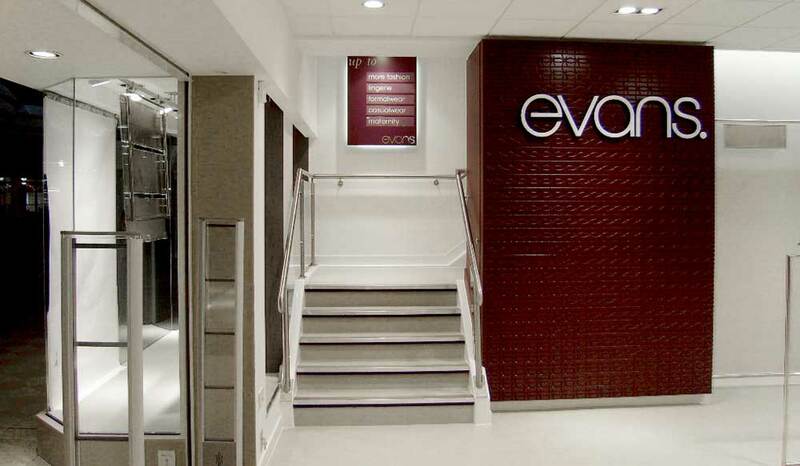 We can also accommodate the fitting of lifts and escalators into mezzanine schemes, incorporating them into our designs. We can design stairs to suit any purpose that will add to the impact of the stairway if necessary. Stairs can either be very functional, an integral part of the overall design or they can be a major architectural feature. Whatever the case they need to work as part of the mezzanine, be safe to use and where necessary look good. 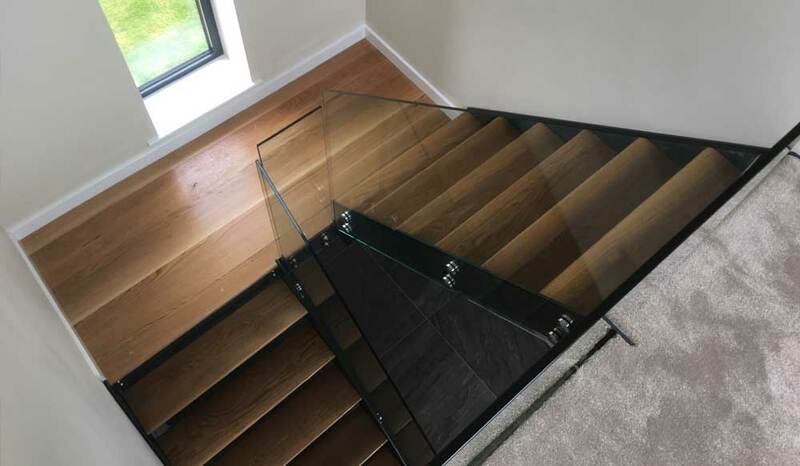 Our stairways are always designed with the rest of the project in mind, ensuring they are totally fit for purpose and we provide a total solution. Functional or stylish, basic designs or architectural feature stairways. 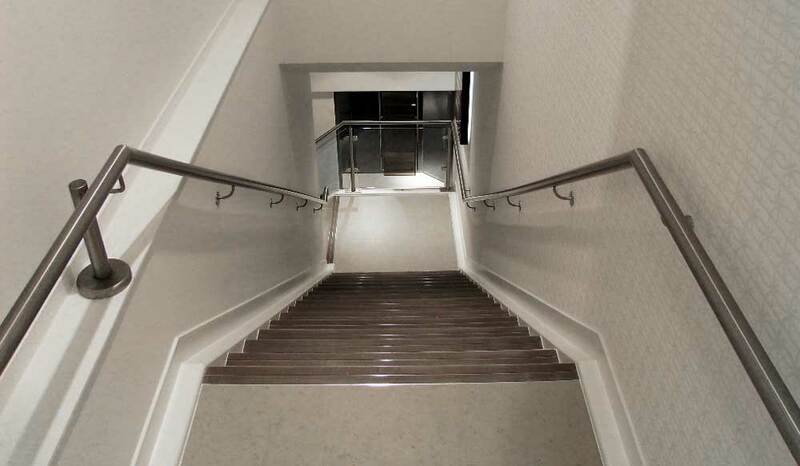 Often forgotten in a mezzanine project, handrails are a very important design feature. In a more industrial environment they do not want to create access problems or cause safety concerns. In public areas, although often seen as very functional, handrails can lift the appearance of a stairway. They can be highly tactile with posts or wall mountings that carry through from other architectural features. Budget ranges or bespoke, and handmade to your design. When building a mezzanine floor there is often at least one open end and obviously there are always stairways and access points. Stairs themselves may create one or even two open sides. This is where a balustrade is needed. 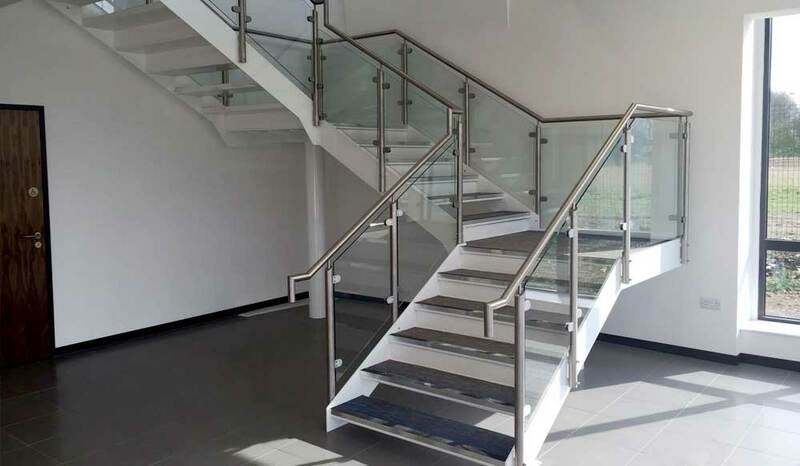 Meza9 have a range of balustrades available in varying materials and combinations including toughened glass, stainless cabling and architectural steel. Balustrade support and clamping systems that conform to safety and building regulations.